Raith Rovers went into today’s Championship game away at Livingston on the back of a run of three 4-0 defeats in their last 4 competitive matches. 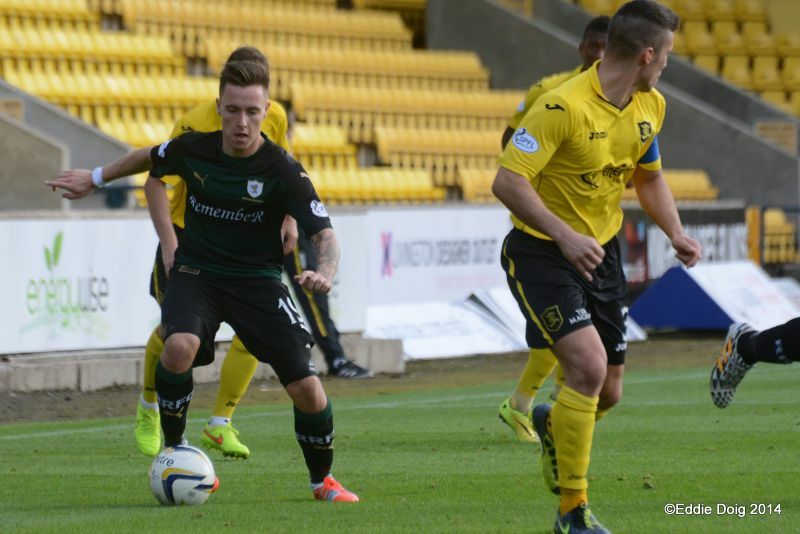 Livingston on the other hand had a convincing 4-0 win over Alloa last weekend. Despite this, Rovers still went into this game 2 points ahead of their hosts. Rovers have a poor record against Livi in recent years with only 2 wins in the last 10 league matches against them and have only ever won twice at the Energy Assets Arena, as it is now known. 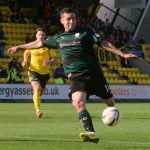 Five of the Rovers squad have played for Livi, Paul Watson, Liam Fox, Martin Scott, Calum Elliot and Craig Barr and of course their manager John McGlynn is well known to the Raith supporters. The good news is that, apart from the three long term injuries, Grant Murray had a full squad to select from, including our transfer deadline day loan signing from Rangers, Barrie McKay. Further positive news is that Dougie Hill joined in with the squad for a light workout on the pitch ahead of the game. Manager Grant Murray made three changes from the last fixture v Rangers, Ellis, Elliot & Nade all into the starting line up in place of Perry, Vaughan & Stewart. 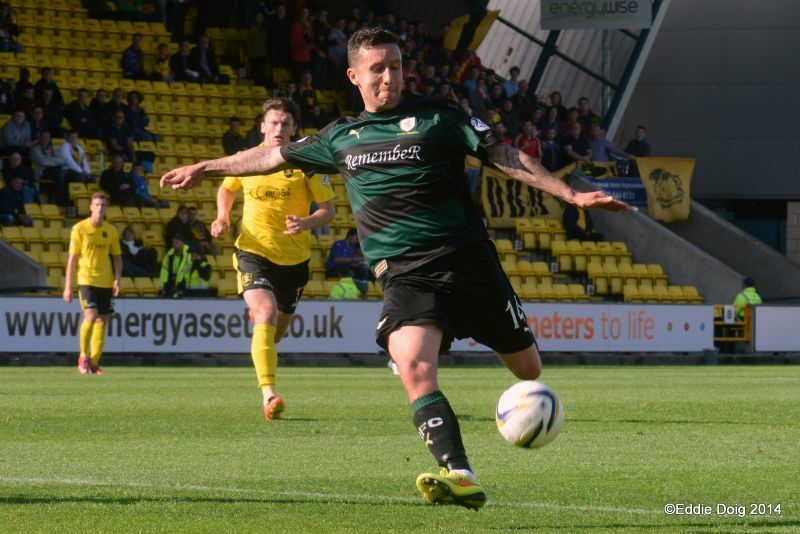 Livi lined up with the Championship’s leading scorer Jordan White with 5 goals in 5 games leading their attack. At an unusually sunny Energy Assets Arena, Rovers, looking resplendent in their green and black away kit, kicked off facing into the sunshine. Raith were on the attack within the first minute, Conroy crossed from the left, knocked down by Nade into the path of Kevin Moon whose shot just went over the bar. From a free kick, Burton O’Brien then had a shot which was superbly tipped over the bar by Ross Laidlaw. 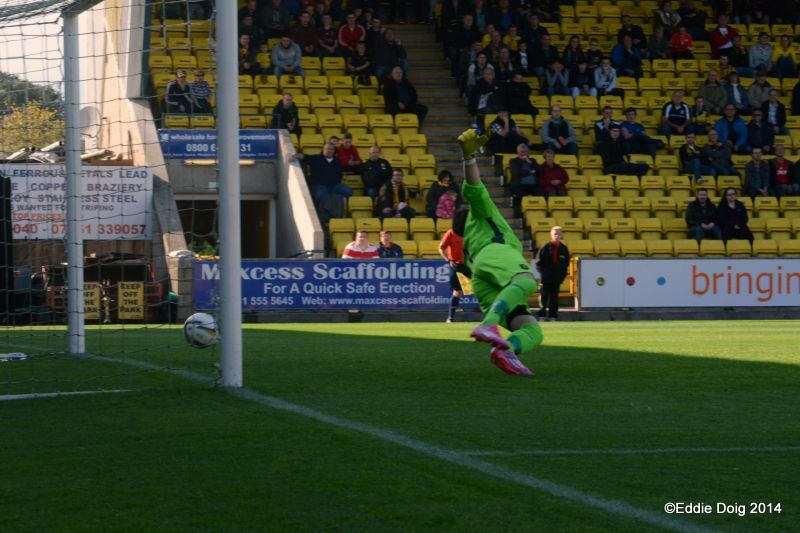 Ross Laidlaw tips a Livingston free kick over, early in the match. For the next few minutes Livi looked the livelier side and had the early pressure in the Rovers half, but encouragingly when Raith had the ball they seemed determined to get the ball down, pass and keep possession, especially some neat passing play from Conroy, Scott & Nade. In the eighth minute, Livi came close to scoring. Thomson headed out for a corner to Livi and from the resultant corner Kyle Jacobs got away from his marker and his header flew narrowly past the post. Three minutes later, another headed chance but this time for the Rovers, after some good possession, Conroy whipped over a cross and Jimmy Scott got his head onto the ball but the ball went just wide. In the 15th minute, Raith had a free kick on the far side touchline, with everyone anticipating a cross, Conroy whipped the ball towards goal but hit the side netting. The first 15 minutes was a lively, fairly even affair with both teams on the offensive. 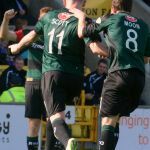 In the 17th minute, Rovers took the lead, Elliot crossed the ball, and with some neat footwork Ryan Conroy beat the Livi defender and slipped a pass through to Martin Scottand his right footed shot beat Jamieson in the Livi goal to put Raith 1-0 up. 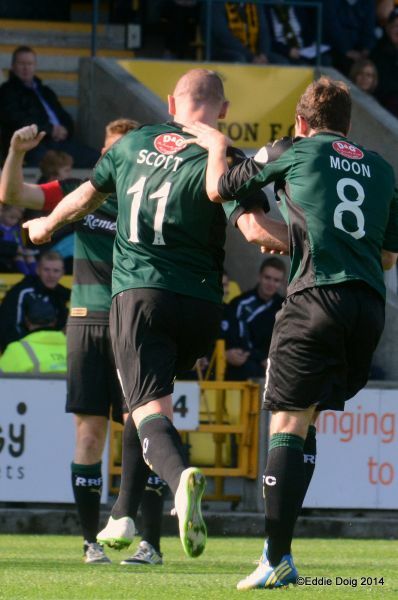 Scott, clearly enjoying scoring against his former team as he celebrated wildly in front of the home dugout before racing to embrace Grant Murray. Scott drives home what proves to be the winner. 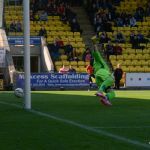 After the goal, Raith took control of the game, a Conroy free kick was won by Martin Scott but his header was saved comfortably by Jamieson. Kevin Moon was then booked for a late challenge on Gary Glen. As much as Rovers were now controlling the play, Livi were still creating chances, McKenna had a dangerous shot from outside the box but was deflected wide, then Jason Talbot shot went over the bar, and a Robertson shot went just past the post after a strong run but Laidlaw had it covered. Ryan Conroy was having a superb first half, just dragging his shot past the post after a great crossfield pass from Nade, Conroy was then gifted the ball by Talbot but his shot was straight into the arms of Jamieson with Nade the better option in acres of space in the penalty box. As the first half came to a close, Elliot fouled O’Brien, who then took the free kick but was headed well clear by the impressive Ellis. Kyle Jacobs then beat McKeown and crossed to the unmarked Gary Glen who headed wide, which was the last real action of the first half. A very impressive first half from Rovers, after an even first 15 minutes, once Raith had taken the lead, they then proceeded to dictate the play with some neat passing possession play. Good chances for both teams to add to the score but the team went in at half time with Raith winning 1-0. 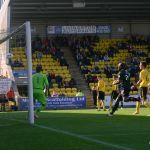 Livi created the first chance of the second half in the 47th minute as Keaghan Jacobs passed the ball through to Jordan White but his shot was well blocked, then cleared by Thomson. 5 minutes later, Livi had two corners in quick succession as they looked for the equalizer. The first corner was cleared well by Moon, then the resultant second corner was well held by Laidlaw under pressure in the six yard box. Livi’s McKenna was then booked for a foul on McKeown. 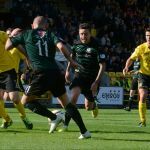 John McGlynn made a bold move to get Livingston back into the game by introducing the highly rated Miles Hippolyte in place of McKenna in the 56thminute. Two minutes later, Rovers had an excellent opportunity to take a two goal lead. Sives bundled into Nade in the penalty box and the referee awarded Raith Rovers a penalty kick. Sives was then booked for his foul as Calum Elliot prepared to take the resultant penalty, Elliot struck the ball to the left, but Jamieson guessed correctly and pushed the ball over the crossbar. 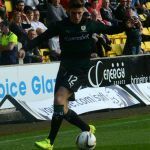 The Livi fans gave their biggest cheer of the day as Elliot missed – clearly still not having forgiven him for changing his mind about signing for them last year. Conroy took the corner and Ellis just headed over the bar. Calum Elliot takes the penalty. After an hour, Rovers made their first substitution, with Barrie McKay coming on to make his Raith debut in place of Kevin Moon. Clearly boosted by the penalty miss, Livingston were now gaining the upper hand in the game, Hippolyte had a strong shot blocked by Watson, Laidlaw had to look lively to grab a fierce cross into the box and then Jordan White’s looping header landed on the roof of the net. 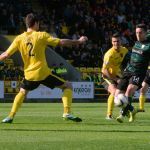 In the 67th minute, Nade produced some brilliant trickery to beat 2 Livi defenders and drove into the box, then set up Elliot for the shot but his shot was saved well by Jamieson and Elliot was clattered in the process. Barrie McKay was getting involved and proving to be a very useful outlet for Rovers as Livi started to control the play, going on a mazy run and brought down just outside the Livi box by Talbot who was booked. Conroy then took the free kick beating the defensive wall but the ball just sailed past the post. 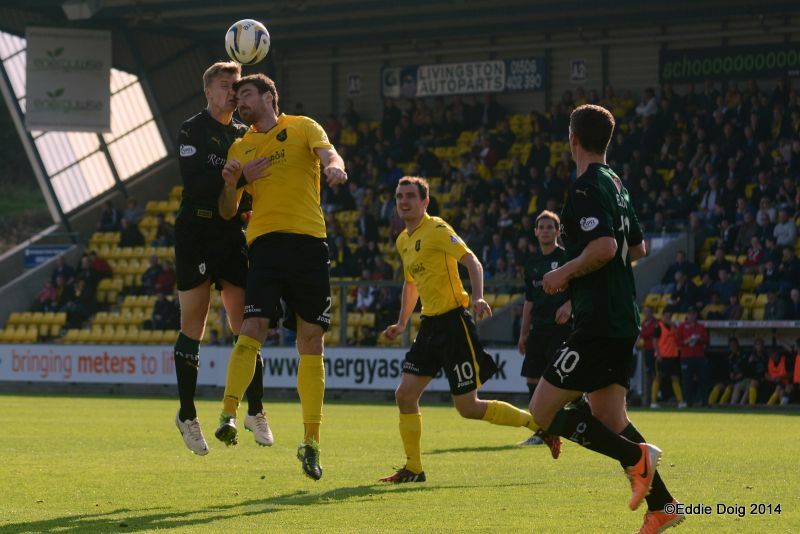 Livi made a further change in the 70th minute bringing on the experienced Mark Burchill in place of David Robertson. Christian Nade then went on a long run to the bye line, played the ball back to Conroy who in turn crossed to McKay who volleyed just over the bar. 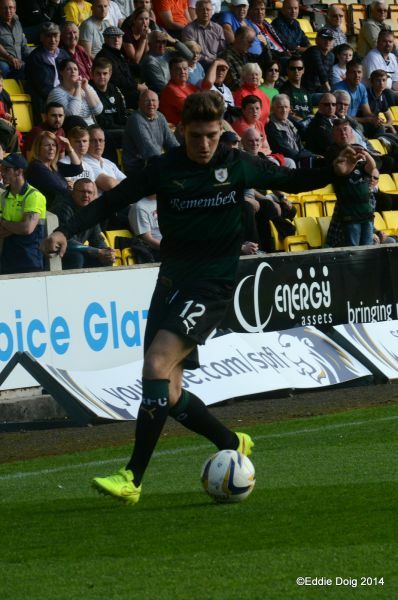 Elliot was still struggling with his injury and was replaced by Mark Stewart. Livingston were now forcing the game with Hippolyte looking very lively and giving the Rovers defence problems. He crossed for Jordan White who chested the ball down but his shot was wide. Keaghan Jacobs then dispossessed Scott and set up Burchill but his shot was saved by Laidlaw. Burchill and Hippolyte both then had shots at goal in the next 2 minutes, but were well held by Laidlaw as Rovers were now being forced too deep and struggling to get any meaningful possession in the Livi half. Livi made their final substitution with 10 minutes to go, Robert Ogleby coming on for Gary Glen. 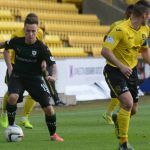 With Raith under pressure, Ellis played an intelligent crossfield pass to Barrie McKay who went on a long run deep into the Livi half and gave the Rovers defence some respite. 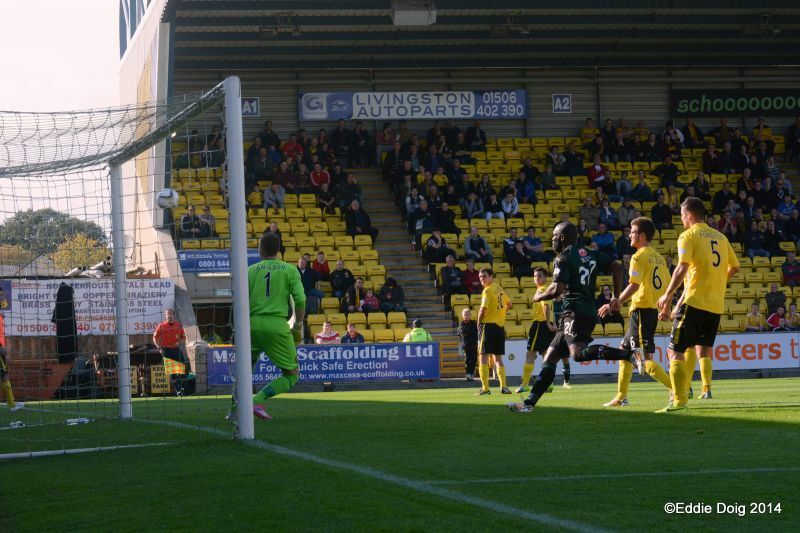 More Livingston pressure as Hippolyte beat two Rovers defenders and won a corner. The corner was whipped in but Laidlaw managed to palm the ball to safety. 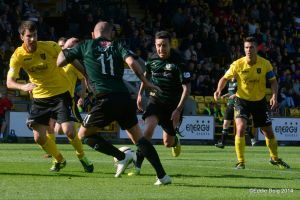 Again Livi piled forward in search of the equalizer with a dangerous cross being headed just past the post by Burchill. 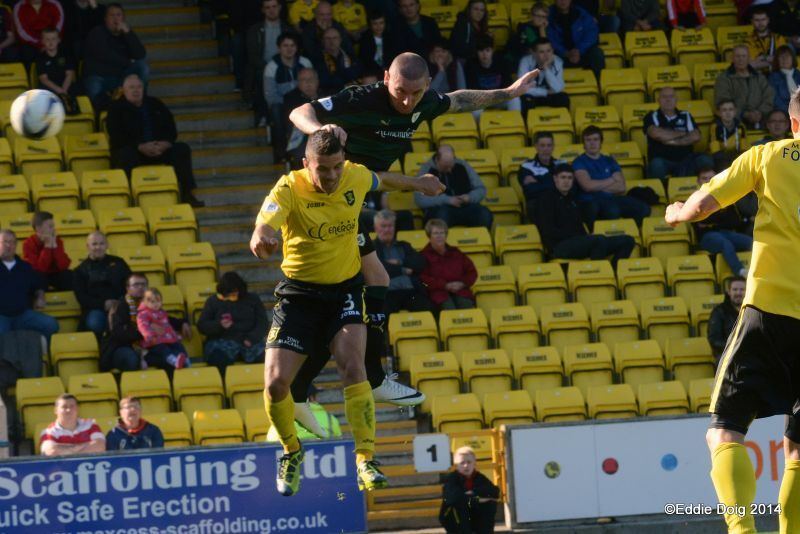 Barry McKay in full flight. With 2 minutes of normal time to play, Nade was injured in a challenge and went off with Ross Callachan replacing him. Jordan White then whipped in a cross which was well collected by Laidlaw under pressure from the Livi forwards. 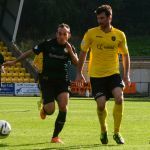 Mark Stewart had been impressive since coming on as a sub and went on a great run and was only halted with a sliding tackle from Talbot. 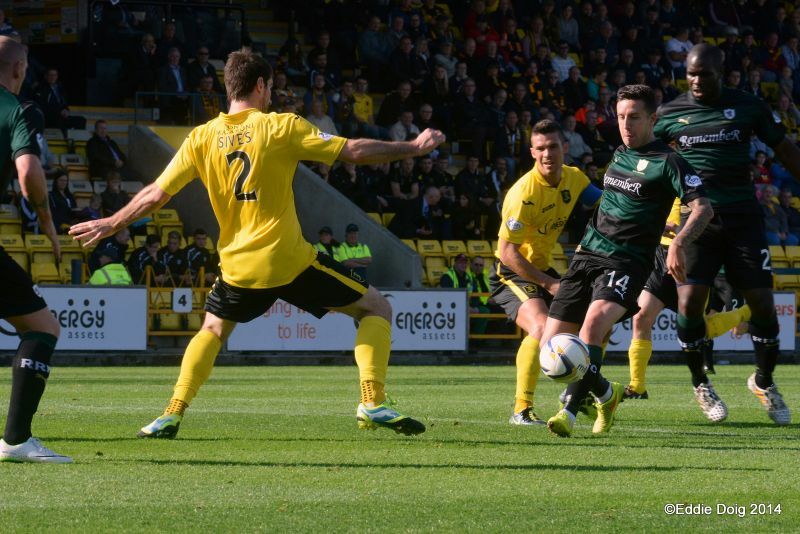 Livi came back on the attack and Burchill played a great long ball to White but his header was well saved by Laidlaw. As the game went deep into added time, Livi were throwing everything forward at the Rovers defence and looked as if they were playing with 5 up front. 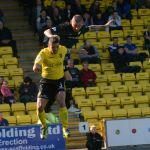 Watson and Thomson had to show some stout defending to keep Livi at bay. Rovers did break well with a tricky run from McKay who played the ball to Stewart but his shot was saved by Jamieson. Finally, after over 6 minutes of added time, the referee blew for full time and Rovers had secured the victory. A great win for Raith against a very decent Livingston side. Rovers definitely had the best of the first half but Livingston dominated the last half hour and were unlucky not to get a draw. However, three away league wins out of three is fantastic and Grant Murray will be delighted that Raith held on for the away win. Jason Talbot was named Man of the Match by the match sponsors and the attendance was 1309. Some great performances in the Rovers team, Laidlaw had an excellent game in goals, Ellis in defence showed his experience with a solid game and some great communication and leadership, Martin Scott had his best game in a Rovers jersey to date, Ryan Conroy and Christian Nade were a real handful for the Livi defenders and Barrie McKay making his debut as a sub looks a very exciting prospect with his pace and ability to beat defenders. With another away win, a clean sheet and a solid performance, holding on to third place in the league, this was a good day all round. Rovers can now prepare with confidence ahead of the home match v Falkirk next Saturday. Welcome to The Energy Assets Arena, the away support is basking in the sunlight. Loan player Barrie McKay gets a place on the bench. Raith kick off towards the shops, Conroy crosses for moon who shots over the bar. O'Brien's 25 free kick is tipped over by Laidlaw for a corner. Rovers stoutly defend sucessive corners. 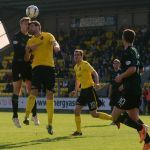 Conroy and Scott threaten but couldn't penetrate the Livingston defence. Mr Madden checks out Robertson who seams to have taken a knock to the face. Sives comes close, rising above the defence to head past the back post. Conroy on a run down the left whips the ball over to Scott who heads past the back post. Almost at the corner flag, Conroy hits a free kick into the side netting. Great work by Elliot, sends the ball into Nade, a side foot to Scott and he sends the ball past Jamieson from 6 yards. GOAL ROVERS. The visiting support getting right behind their team resplendant in the iconic RemembeR strip. Conroy's free kick is tamely headed into Jamieson's hands by Scott. Moon yellow for a late tackle. McKenna clear through hesitated and fluffed his shot, Laidlaw recycles the ball upfield. Conroy beats Sives and shoots past the far post. Moon this time in space shoots past the same post. Robertson flying down the left unleashes a left foot rocket across goal and out for a bye kick. Conroy is gifted the ball by Talbot but sees his shot saved by Jamieson. Elliot rises above the defence for a header which was way off target. Talbot rescues the ball from a ruck of legs but could only send his shot high and wide past goal. Livingston starting to put the pressure on. Kyle Jacobs the provider watches as Talbot heads wide. Glen picks up a rebound from White and sees Watson block his rushed shot. Scott turns and shoots inside the area, he slips and the ball is cleared. Laid law commands his area as he plucks the ball out of the air from a corner. McKeown down, he seems to be winded. Conroy's free kick into the box, Nade is fouled, penalty. Elliot shoots high and left, Jamieson guesses the right way and gets a full block on the penalty and the ball goes out for a corner. A player from both sides down after a collision. McKeown and Hippolyte go off for treatment. Both players return to the field. Hippolyte shoots from a tight angle, his shot is blocked by Watson. Jordan White with a looping header sees the ball land on the top of the net. Nade cuts along the bye line and supplies Elliot at the near post, his rushed shot goes wide. McKay unfairly disposessed by Talbot sees the latter yellow carded. Nade beats Jacobs and side foots to McKay who shoots just over the bar from 20 yards. Mark Burchill fires the ball in from 25 yards, Laidlaw tracked the flight and saved capably. Burchill again with an effort, Laidlaw would have to have been 20 foot high for him to get near it though. Nade showing great poise at the edge of the box, it takes three defenders to take the ball from him. Myles Hippolyte showing the skills this time, beatinf three defenders to win a corner. Burchill on the attack, his header going narrowly past Laidlaw's right stick. Thomson going home with a trackside graze as Hippolyte bundles him off the park. Nade receiving treatment on the fielf. Sives clears off the line from Stewart. +4 McKay through and supplies Stewart who shoots straigh at the keeper. Rovers win a tough encounter at a ground that hasn't been too fruitful in recent times. Jamieson, Sives, Talbot, Fordyce, Kyle Jacobs, Keaghan Jacobs, O'Brien, Robertson, McKenna, White, Glen. Paul, Ogleby, Hippolyte, Beaumont, Mullen, Burchill, Rutherford. Laidlaw, Thomson, Watson, Fox, Moon, Elliot, Scott, Conroy, McKeown, Ellis, Nade. McGurn, Anderson, Stewart, Callachan, Vaughan, McKay, Bates. 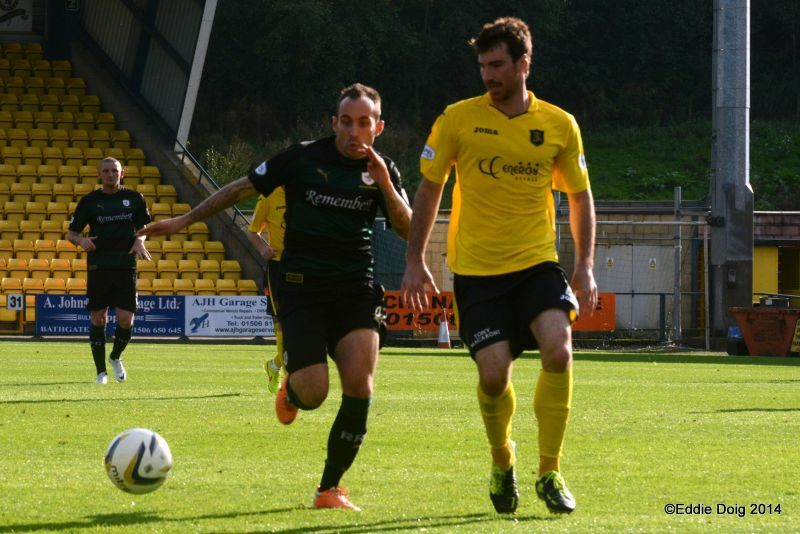 Mark Stewart had a chance to finish "Livi" off in the dying minutes. Captain Jason Thomson gets a late cross into the box. Jamieson closes down Stewart forcing him to shoot wide. Nade has three Livingston players on his back. Debutant Barrie McKay is fouled on route to goal. Paul Watson wins the header. Ryan Conroy drives towards goal. 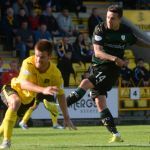 Calum Elliot splits the livingston defence. Jamieson dives in vain 1 nil rovers. Conroy slips the ball to Scott. Jamieson is stranded but Conroy's free kick hits the side netting. Martin "Jimmy" Scott out jumps Talbot. Ryan Conroy crosses into the Livingston box. Christian Nade chests down inside the Livingston box.